Nephrite jade; polished gemstones rich in color. Photo by the justified sinner/Flickr (Noncommercial Use Permitted with Attribution/Share Alike). 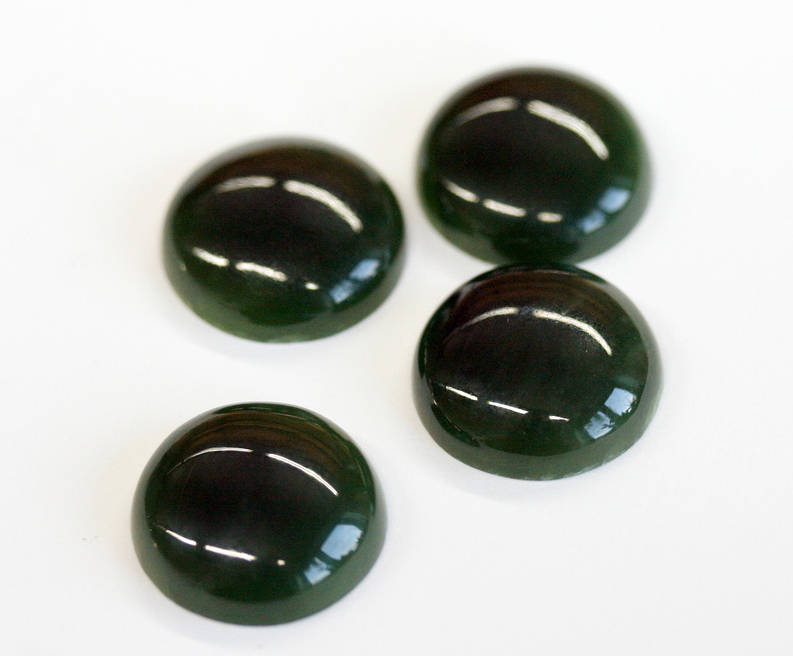 Jade is a compact, opaque gemstone that ranges from dark green to almost white in color. Wyoming's state gemstone is the nephrite variety of jade; polished nephrite has an oily luster. 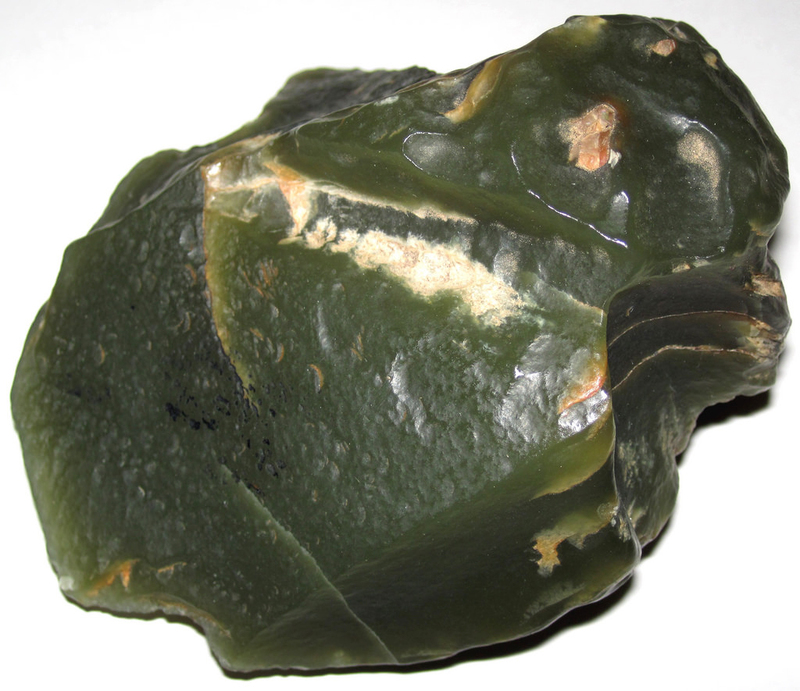 Deep green nephrite jade; chipped and possibly a native American artifact from Crooks Mountain, Fremont County, Wyoming. Photo by James St. John/Flickr (use permitted with attribution).